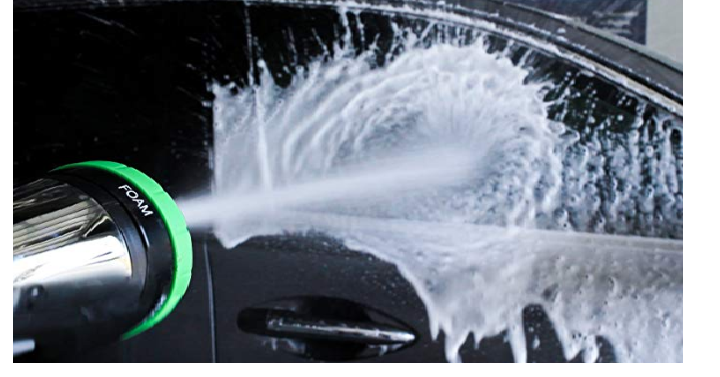 Viking Car Care Foaming Soap Spray Nozzle Only $9.74! How cool would this be? I have my kids wash my cars during the summer. It saves SO much money. They would love to use this! Amazon has the Viking Car Care Foaming Soap Spray Nozzle for only $9.74 when you choose the No Rush shipping option. Keep in mind, Amazon pricing can change at any time! Don’t wait to purchase this deal or it might be gone when you come back!